VirtualBox 5.2.6 Free Download Latest Version For Windows OS (XP-7-8-10). Get the standalone offline installer setup file of VirtualBox with a single, direct and secure download link. The downloaded setup file is compatible with both Windows 32 and 64-bit versions. VirtualBox is a virtualization or emulation program that allows you to have a virtual machine on your PC, with the possibility of installing another operating system within Windows. For example, if you have Windows XP installed as an operating system you can run Windows 10, 8 or 7 virtually, or some Linux distribution, and also vice versa: from Linux running Windows, or the rest of the possible combinations between the different supported operating systems. The functions and advantages of having a virtual machine are many, for example for those who use Linux to try new distributions or run some Windows program to which they are accustomed, but which is not compatible with Linux. The same is the reverse: for those users who use Windows and start their first steps in Linux, they can try it, without needing to create another partition, or install a distribution, or have to configure GRUB to manage the operating system startup. VirtualBox is also useful for testing applications without running the risk of damaging the operating system, for example, files that are suspected of containing viruses, and it is also useful for developers who must test their applications in different operating systems. The operating systems supported by VirtualBox are: DOS / Windows 3.x, Windows NT, Windows 2000, Windows XP, Windows Server 2003, Windows Vista, Windows 7, Windows 8 and 10, Linux 4, Linux 5, OS / 2 Warp, Ubuntu (8.04 to 15.04) and OpenBSD among others, and now also Mac OS X. (10.8, 10.9, 10.10). 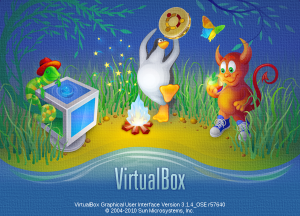 Virtual Box competes with another program with the same characteristics as VMWare, but VirtualBox has the advantage of being lighter, completely free, and also GNU (open source). 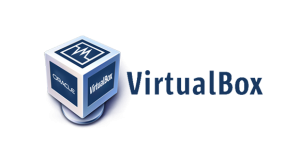 Free: VirtualBox is 100% free and open source software. Portability: It is possible to run VirtualBox on both 32-bit and 64-bit OS based on the Intel x86-64-based processors. No hardware virtualization required: You can run VirtualBox on older hardware even when features like Intel VT-X or AMD-V are not present. Virtual Box 5.2.6 is the latest version of this software, updated in January 2018. It is available to download a complete and detailed User Manual, from the official website of the VirtualBox project. Software Name: VirtualBox 5.2.6 Free Download. Software Version: V 2018 5.2.6. Click on the button below in order to download the standalone offline setup file of VirtualBox for PC both 32-bit and 64-bit OS.